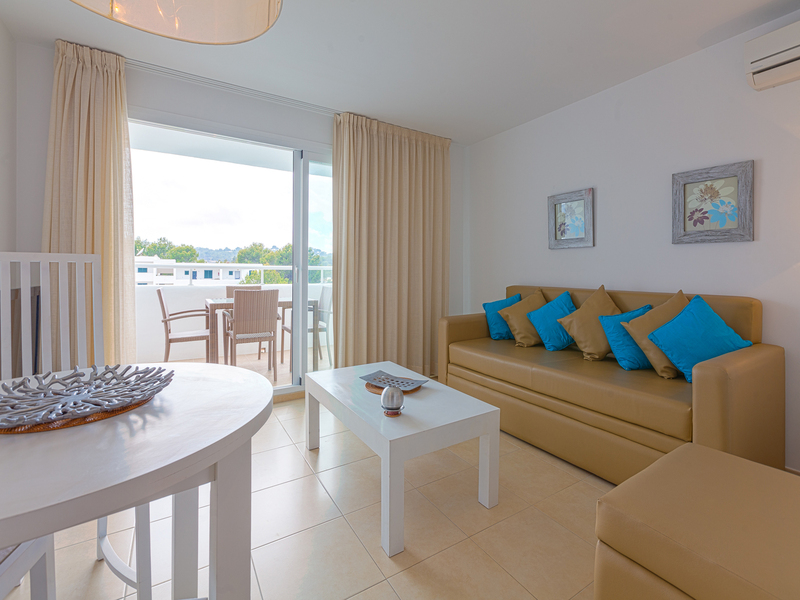 Our lovely Torrent Bay Hotel combines pure Ibiza style with modern amenities, ideal for relaxing and enjoying life with your loved ones on your wonderful Ibiza holiday. 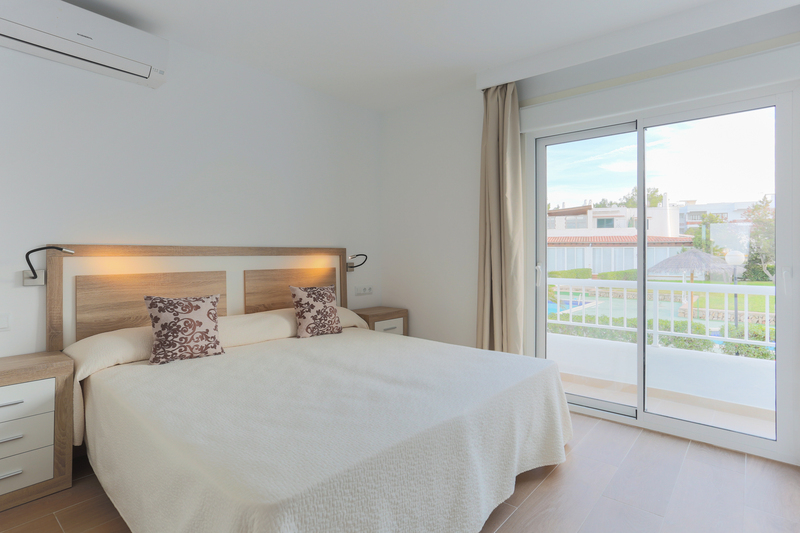 If you are looking for a private luxury apartment for your stay during your holiday in Ibiza, in Torrent Bay you will find just the right one. 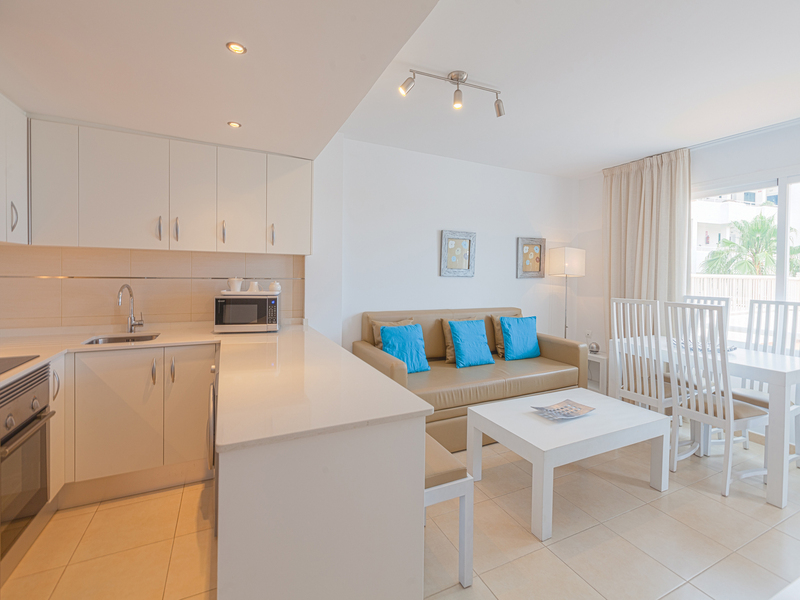 We offer bungalows and 1 or 2 bedroom apartments, recently refurbished for a luxury stay. 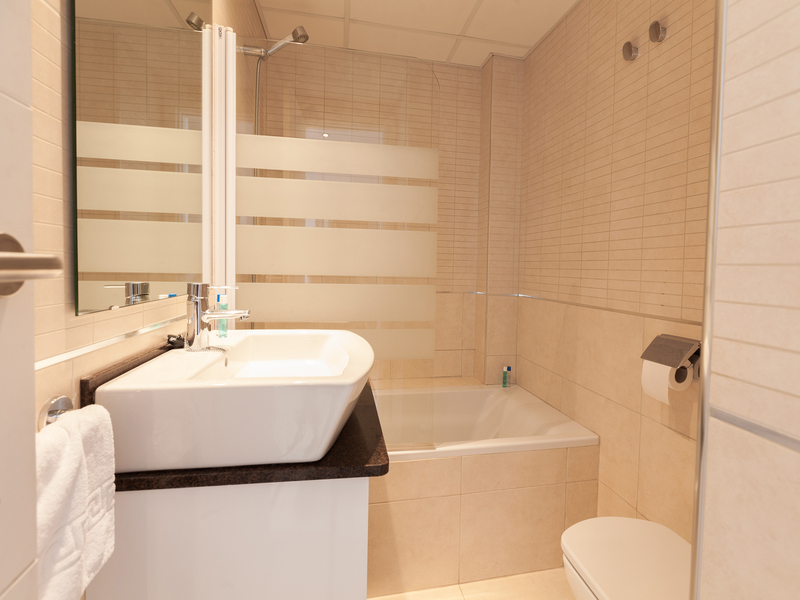 With all the conveniences, here you will feel at home and will not want to leave. 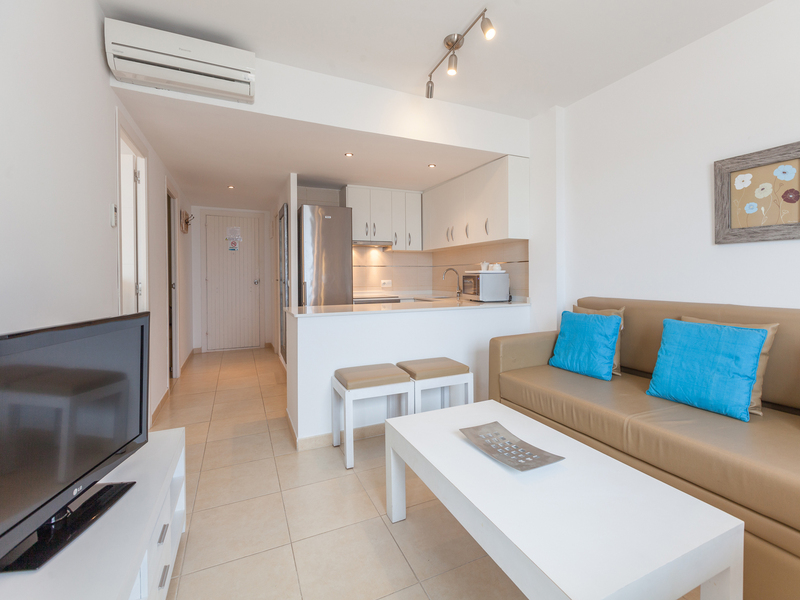 All our apartments come with free WiFi, a cleaning service every 2 days and change of sheets every 4 days. 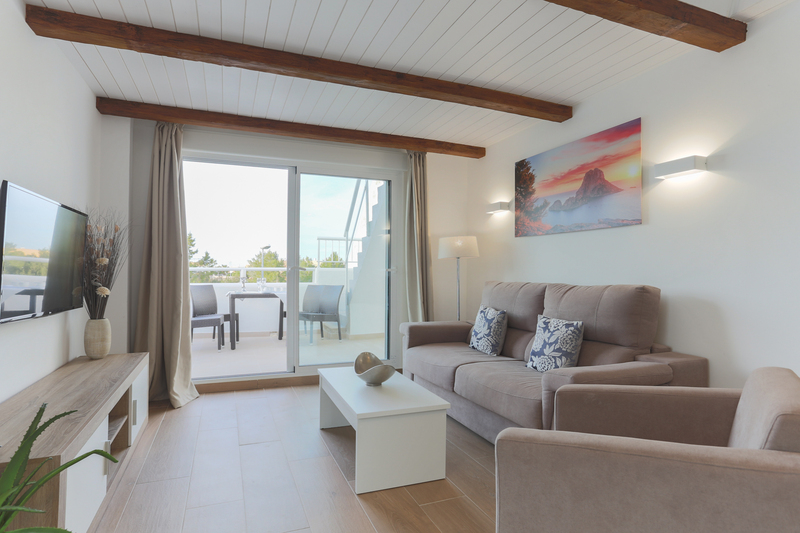 In the setting of the bay of Sant Josep, Port des Torrent, we offer you the perfect scenario for enjoying the rest and well-being you so richly deserve. 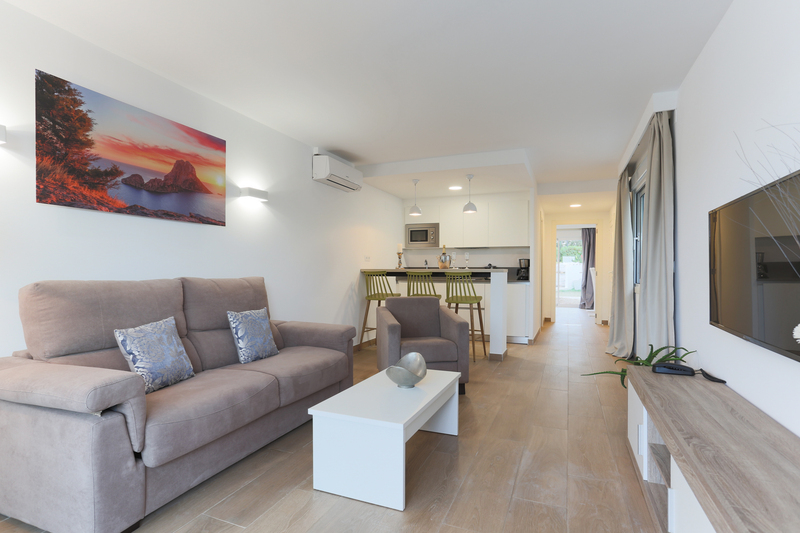 The 1 bedroom bungalow-style apartments or the 1 or 2 bedroom Deluxe apartments will become your point of departure for the many excursions you can make around the area. Because Ibiza… is worth discovering! The Torrent Bay Hotel bungalows, of approximately 50 square metres, are situated near the swimming pool. 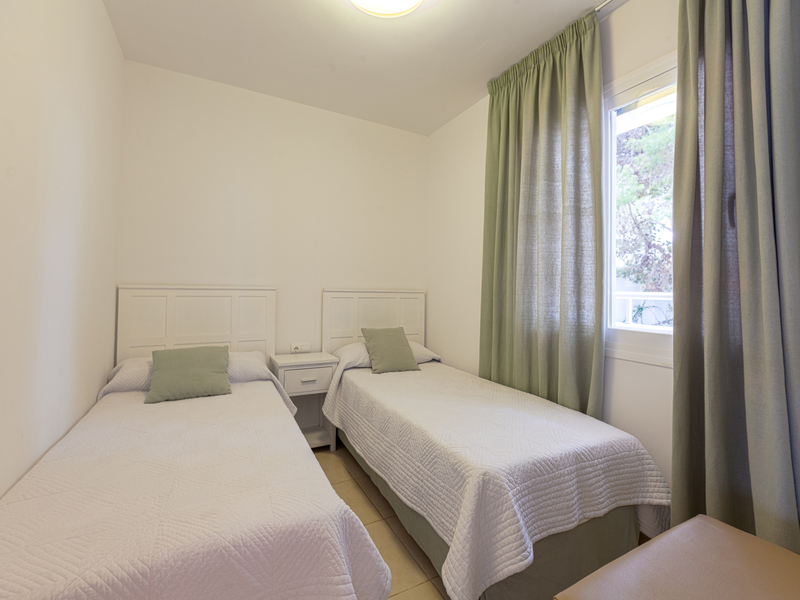 They have 1 double bedroom, and can accommodate 2 adults and 2 children. They have a terrace and sundeck or private garden if they are on the ground floor. 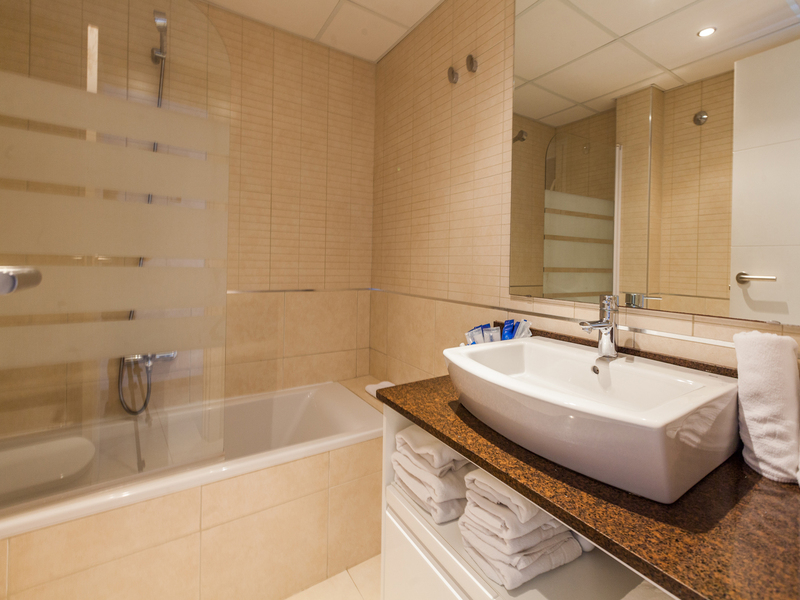 They all come with an American kitchen open to the lounge, fully equipped, and a bathroom with bathtub and toiletries. Would you like a luxury holiday? 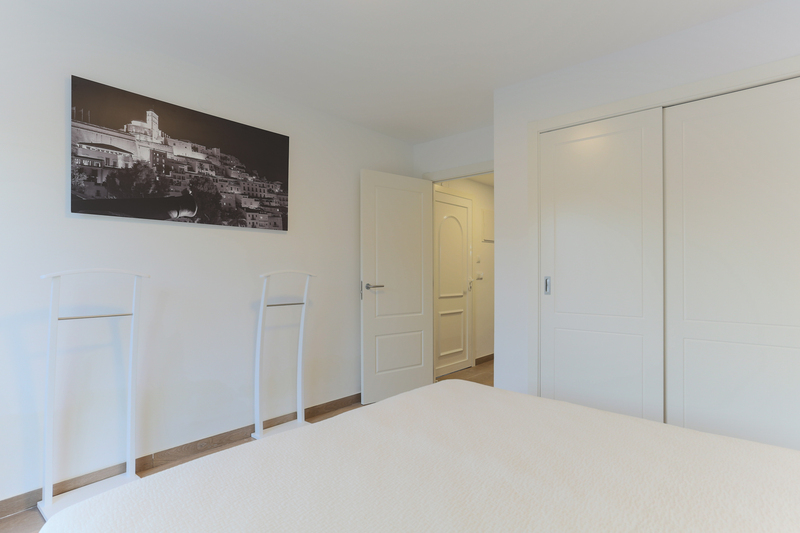 The Deluxe apartments have one bedroom with two single beds, American kitchen open to the lounge, fully equipped, and a bathroom with bathtub and toiletries. Their maximum capacity is for 2 adults and 2 children. 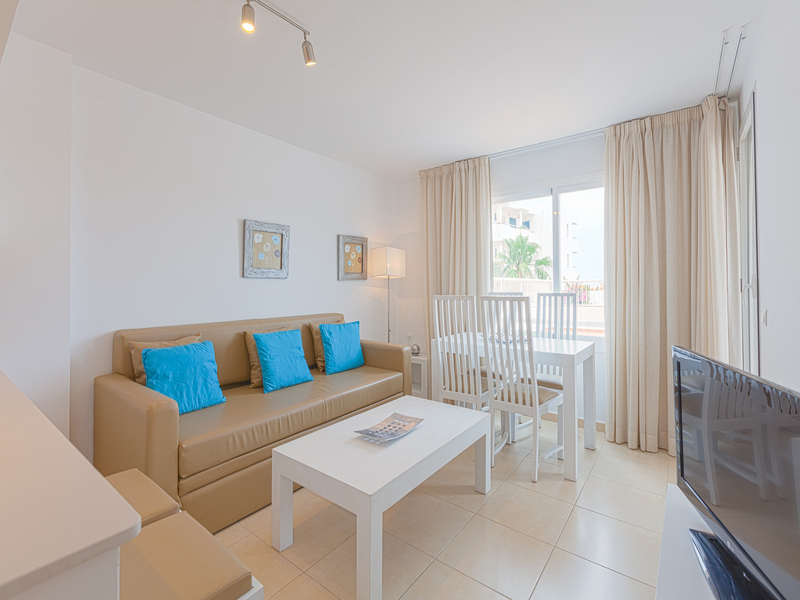 They are all decorated in the modern, elegant, inviting Ibiza style. 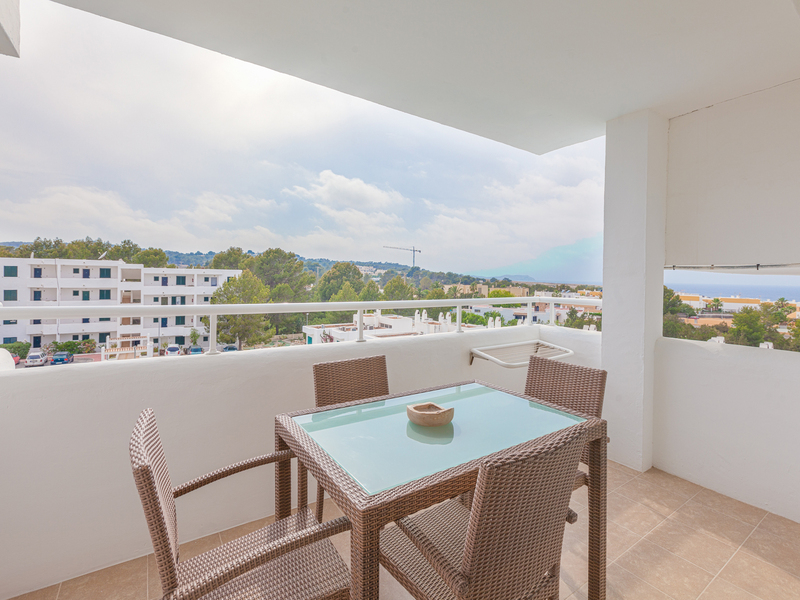 They also have a 9 square metre terrace with views to the swimming pool and the gardens. 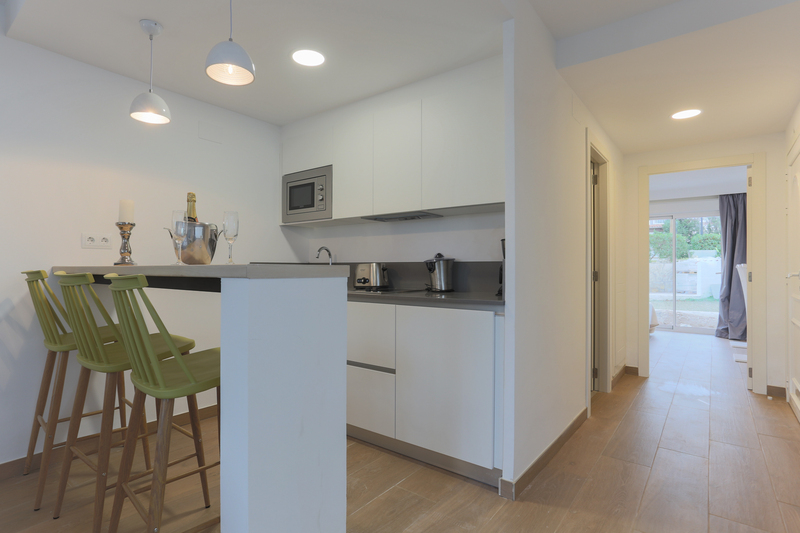 This apartment, of 65 square metres, is perfect for accommodating families with children. 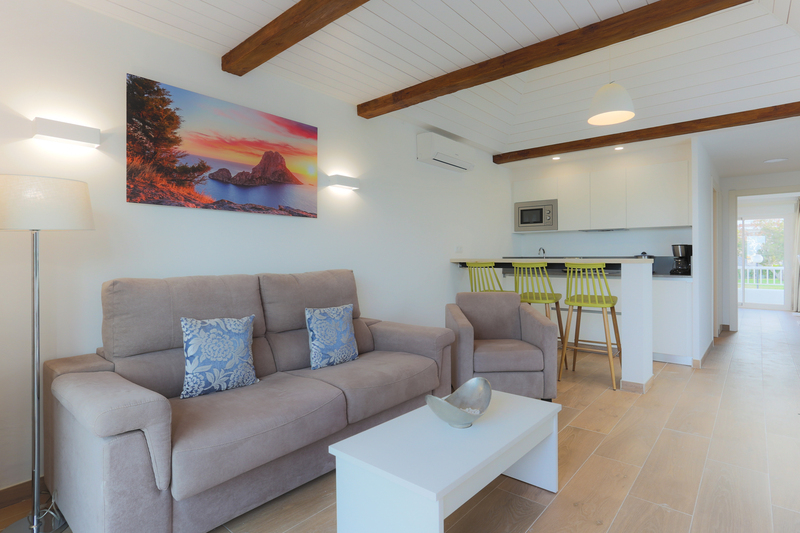 It has two bedrooms, one with a double bed and the other with two single beds, American kitchen open to the lounge, fully equipped, and a bathroom with bathtub and toiletries. 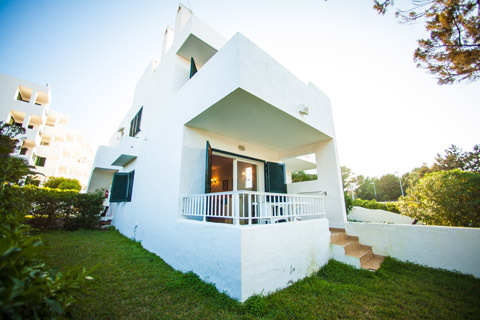 It also has a 9 square metre terrace where you can enjoy the wonderful Ibiza sunsets. 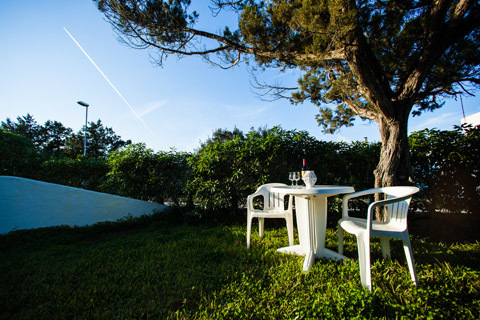 The Torrent Bay Hotel is located in San José, at the beginning of the bay of Sant Antoni, in Port des Torrent, a lovely natural sandy harbour around which this large residential and holiday area has been developing. A swim in one of the lovely coves or a cocktail enjoyed in the best company are two of the options available to you during your holiday in Ibiza. The area of the bay of Sant Antoni has shops,bars and restaurants, and also a wide variety of entertainment options. Be prepared to discover one of the most beautiful spots in the Mediterranean. In the bay of Sant Antoni time seems to stand still. Relax and make the most of this exceptional setting. 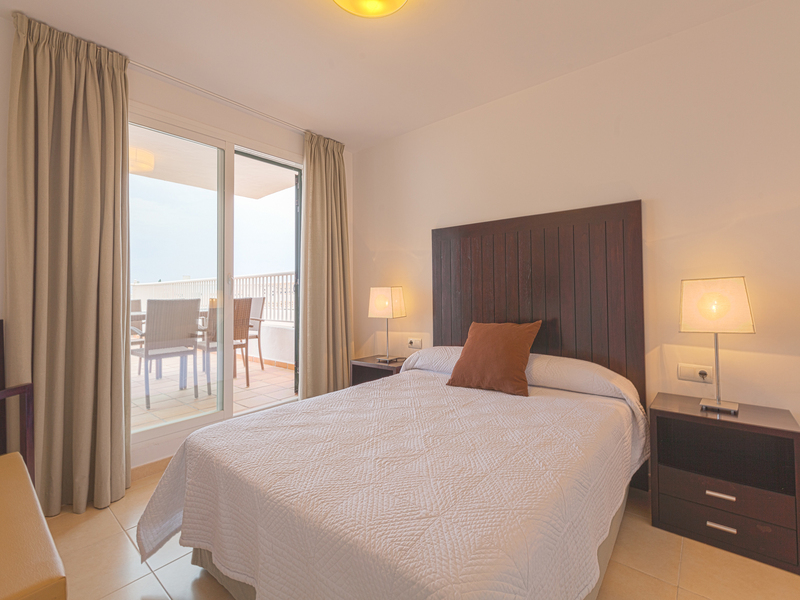 Choose the apartment most suited to you and enjoy our promotions and discounts. Only through our official web site and with the Intercorp Hotel Group guarantee! Located near the swimming pool. They have 1 double bedroom with 2 Single beds. They have a terrace and sundeck or private garden if they are on the ground floor. 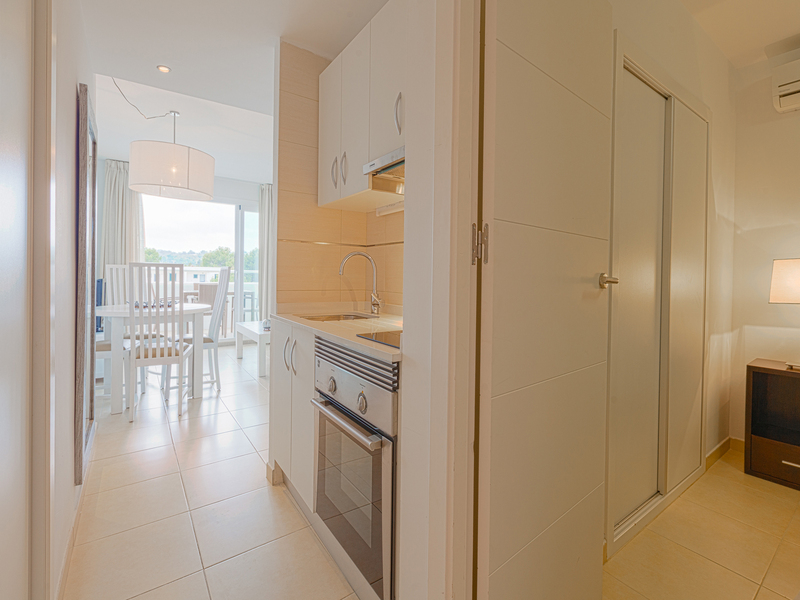 They all come with an American kitchen open to the lounge, fully equipped, and a bathroom fully equipped. 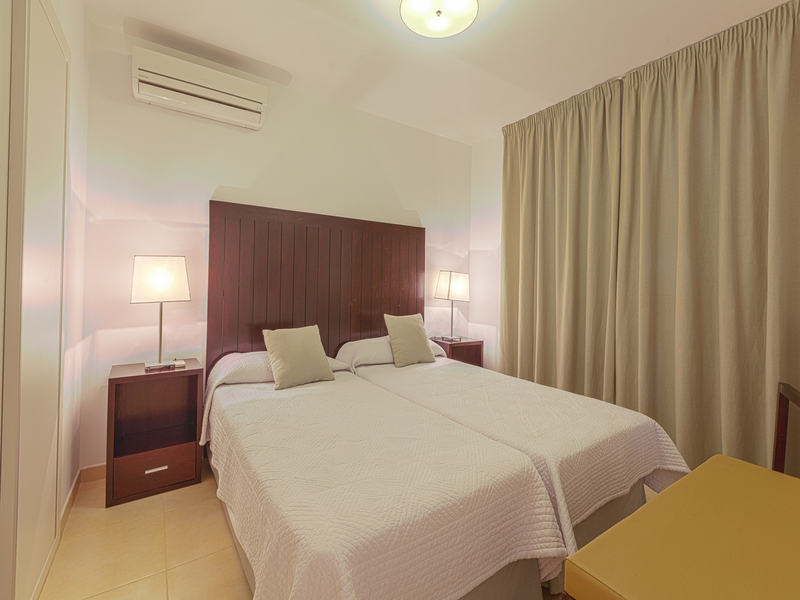 Bedroom facilities: Air conditioning, Flat Screen TV, Free Wi-Fi, Telephone, Cleaning products, Ironing facilities, Toiletries, Hairdryer and Refrigerator, micro-grill, microwave, toaster, coffee machine, and kitchenware. 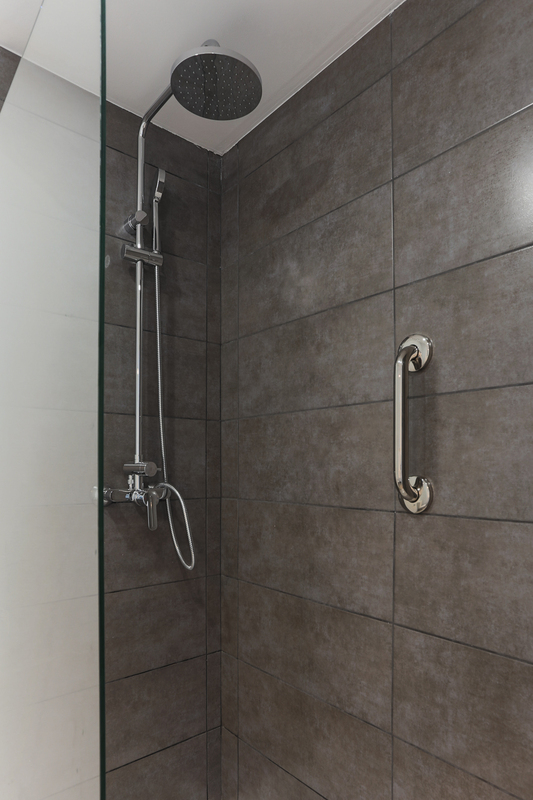 This type of apartment is available for people with reduced mobility. 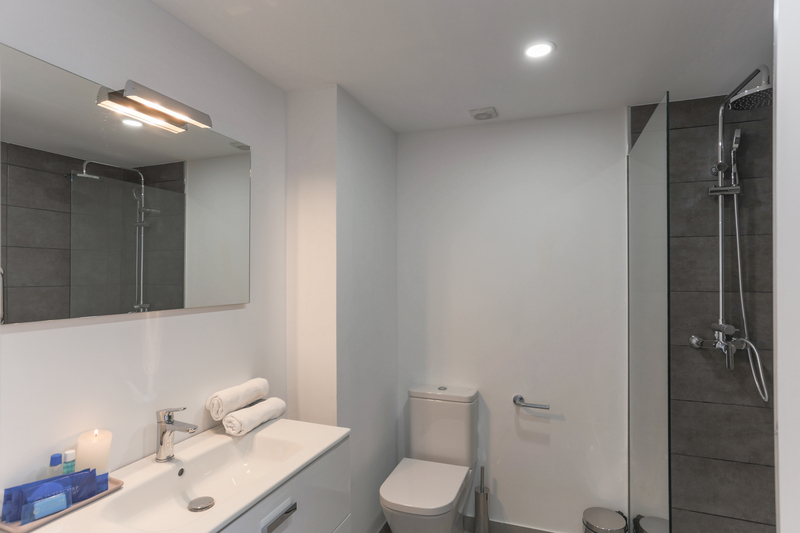 The apartment has one bedroom with two single beds, American kitchen open to the lounge, fully equipped, and a bathroom with bathtub and toiletries. 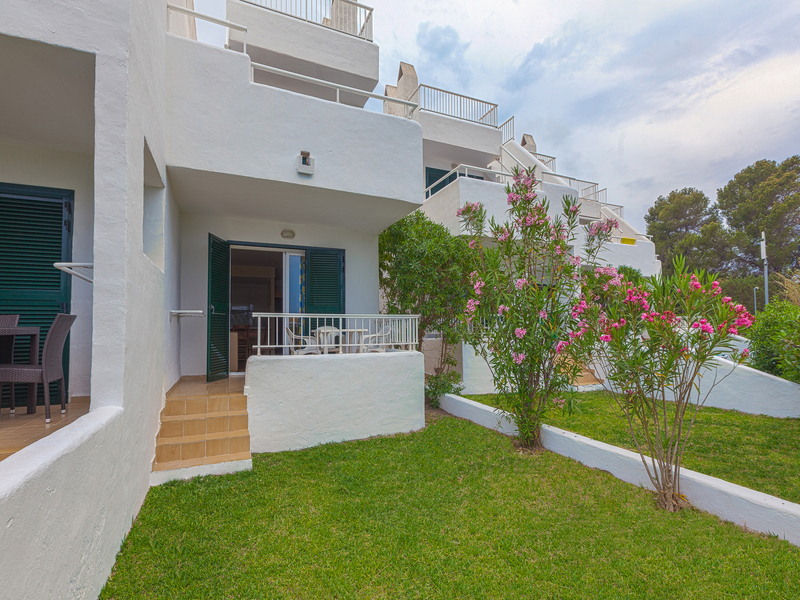 They are all decorated in the modern, elegant, inviting Ibiza style and have a terrace with views to the swimming pool and the gardens. 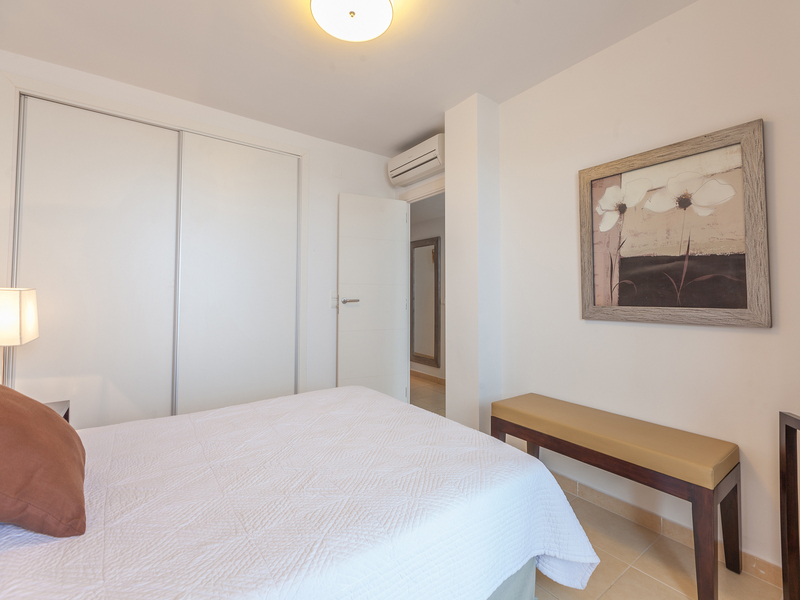 Bedroom facilities: Air conditioning, Free Wi-Fi, Telephone, LED TV, Safety deposit box, cleaning products, ironing facilities, toiletries, hairdryer and refrigerator, oven, microwave, toaster, coffee machine, and kitchenware and wake up call. Perfect for accommodating families with children. 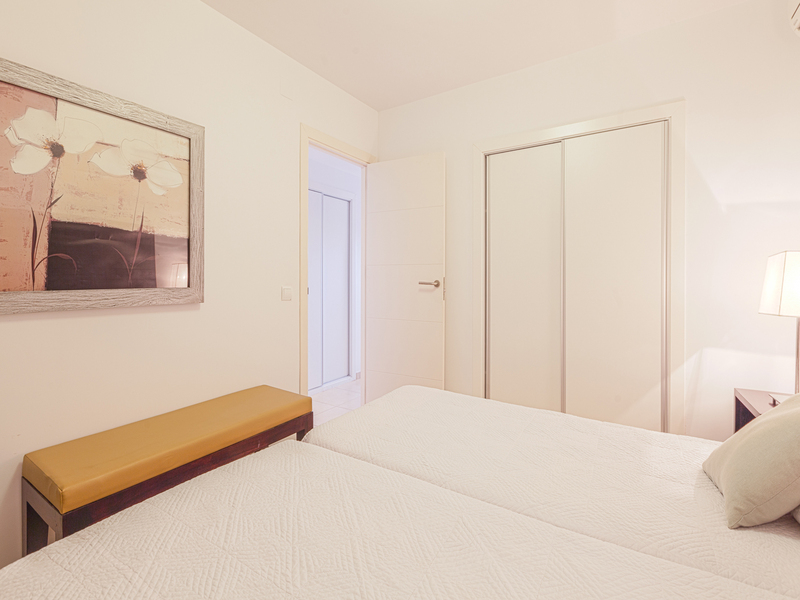 It has two bedrooms, one with a double bed and the other with two single beds, American kitchen open to the lounge, fully equipped, and a bathroom with bathtub and toiletries,. It has a terrace with views to the swimming pool and the gardens. 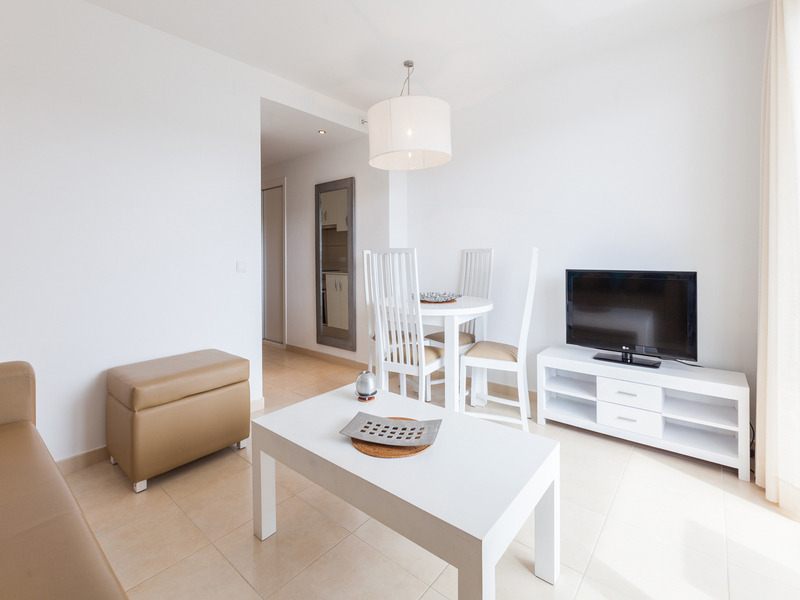 Within each apartment category, the location and design of the furniture may vary in regard to the images. The pictures are shown for illustrative purposes only.